Dogs see the world in their own way. 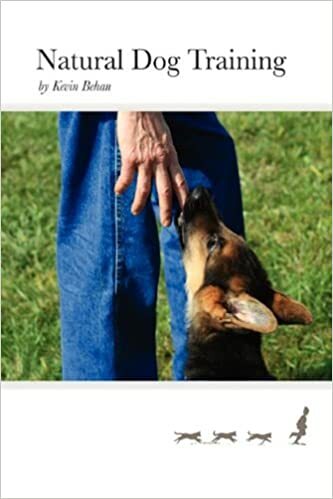 When we humans think of dog training, we think about our dog learning all kinds of skills such as heeling by our side, listening to commands, doing this or not doing that. We think in terms of teaching the dog a wide range of rules. It appears to us as if the dog has dozens and dozens of things to learn. Meanwhile, the dog only has the one issue of energy in his heart. No matter how different one situation may look from another to us humans, to the dog they all involve the same question: What is he to do with his energy? Regardless of how well we may think we have taught our dog to heel, or to sit, and what the rules of the house are, if we haven’t addressed this fundamental concern of the dog, he will never be 100% reliable. In fact the likelihood is that he will never have learned how to be under control in the first place and that a great degree of resistance between dog and owner will lay unresolved and brooding towards future encounters or nervous outbursts. So instead of trying to solve a thousand little problems without regard to an overall balance, (which would be like building a house without consulting a blueprint), I suggest that we break each problem down to its most fundamental element as it pertains to the flow of energy, which as I have outlined earlier, precisely conforms to the parameters of the hunt. We’ll find at the core of every problem, the same central element and by taking heed of this standard, every area of our training will be in balance with every other area. Each step will dovetail neatly into the next step on a smooth and steady progression with social resistance melting away in seemingly unrelated areas of the dog’s life. When we arouse the dog and then channel its energy appropriately, the dog is put into a mood of calmness and this is the only condition in which he is ready and able to learn what a command means. The traditional way of commanding the dog and then trying to show him what the command means is the wrong way to train one’s dog. It causes the dog to associate the command with the shock or discomfort of having to change moods. Before the command to heel for instance, the dog may have been in the mood for examining buttercups. 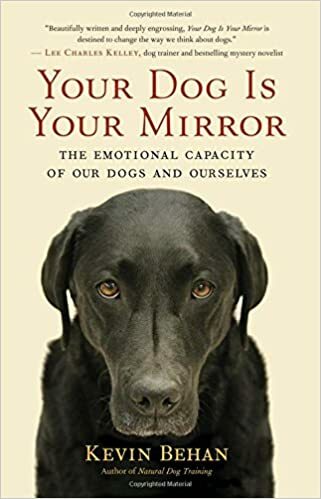 Arbitrarily changing the dog’s mood without a good instinctual reason grates on his nervous system precluding his ability to learn in a positive manner. Behavior flows from a mood (not a thought!!) and so we must first use the flow of energy through a dog being in drive toward its owner, and then this automatically creates an appropriate mood relative to the situation. Once the mood is established and the desired behavior is elicited, the dog is NOW ready to have the command associated with this flow of events. We’re looking for straightforward expressions of drive so that the dog works in a straight line, in parallel with his handler. Also when drive flows directly, his behavior is pure and so he works with a happy attitude, and so these are the moods that we want our commands to evoke. To meet these criteria, training must always be approached from the issue of drive so that energy can flow. In dog training we need to answer these questions: If we want to train the dog to our command, how are we going to first attract his drive? And, if the dog’s drive is already aroused, how are we going to permit the dog to find relief? We also have to consider that there are certain situations so unnatural that an evolved instinct isn’t available to handle the flow of drive. A stranger knocking at the front door is a highly charged event and the social instincts of many dogs can’t plug in here so that drive can be calmly fulfilled. Excitement turns to nervousness if a course of action isn’t clear while they’re high in drive. The dog just can’t have energy once he has been energized: he’s stuck with it like a car approaching a curve at high speed. What is such a dog to do with his energy? In this case, the owner needs to deepen the group mood through praise and constructive obedience work so that drive will flow into a calm resolution of the moment. Dog training is channeling drive away from a wild-like direction into an appropriate, domestic direction. To do this we have to develop the harmonic pathways so that drive can be steered smoothly in the direction the handler wishes. The first step is for the handler to be able to attract his dog’s drive, not just some or the majority of it, but all of it. A simple test is to try to get your dog enthusiastic about you, or something you have, when in a new place or around strange dogs. If he can do it, next, observe the length of time the dog can sustain an active form of interest. The longer the interest, the greater the flow, and the greater will be the dog’s ability to resist something naturally appealing as another dog or a cat when the owner requires control. Many dogs considered well trained, will fail this test miserably. Dogs don’t choose to ignore their owners: they are forced to because they have been trained to relate to their owners via their pack instincts. A pack instinct is designed to store stress, and to set overload thresholds, not to conduct drive in a calm manner. Through constantly being rebuffed when excited, the dog learns that he can’t be with his owner whenever he’s high in drive. His drive can only be expressed in the pack through warped distorted behaviors as his mind and body is clouded by the survival instincts. This precludes our control in a critical moment because if the owner is a source of nervousness, how can the dog be attentive to him? And if the dog is nervous, how can he be controlled? The truth is: it’s impossible to control nervousness. Unless the dog is in a group mood, he can’t be both attentive to his handler and willing to calmly admit strangers, whom his natural instincts have defined for him as “trespassers”, into the family group. This is a great book excerpt Kevin, and I am looking forward to purchasing your book very soon. I don’t quite understand what you mean about the owner deepening the group mood through praise and constructive obedience work, What exactly does that mean? You can also think of it this way. A drop of water etches a tiny rivulet or circuit, through a bit of dust. If the succeeding drops of water are slowly administered, then that original track grows deeper and more able to handle an increasing volume of water. At some point the channel can be so deep that it can successfully handle a downpour. So the owner must position themself to become the ground, so that over the course of the relationship they become the ocean into which all their dogs’ rivers of emotion can flow. This is the point of pushing, hide ‘n seek games, push-of-war and so on. Interesting….many of the “games” you suggest are all things that I have done with my 1st dog, Bodie, because they were fun for both of us. I played hide n’ seek with him, tug-of-war, having him chase a training dummy on a rope, etc. Unfortunately, I’ve never played any of those games with the next 2 dogs as it becomes a logistical impossibility with all 3. I am working on Pushing and push-of-war with them, one-on-one, and I have seen a noticeable difference in Duncan’s demeanor. His face is open and I see a great deal more relaxed, supple body language in him when we are outside playing. The intensity of his interactions with Bodie have lessened considerably. I ordered your book from LuLu today and am looking forward to having it as a reference tool and guide. One quick question: A few weeks ago I gave Duncan the oppurtunity to eat as much as he wanted, uninterrupted. I put the food bin in the back yard and let him eat while I played with Bodie and Diva. That day was the first time I had ever seen Duncan with an open-mouthed, relaxed face EVER that I can remember. Is there an explanation for this change? I’d appreciate hearing your thoughts on this. Thanks, as always, for your input Kevin. Yes a dog has to have fun and so does an owner ! I found this website through the book “how to collar a killer”. I played the games described in the book (play wolf daddy, making silly enthusiastic play noises. play growls and telling them “you are the king dogs” etc) with my 3 dogs all at the same time. I have a mini-malamute, a small border collie and a large mixed breed sleddog. We have lots of snow here now so rolling around together on the trail does not make anyone dirty. during a 1 hour walk. I was happy to find this information. it is very fun. all i want to do really is play with my dogs. i want to keep them out of danger, so I train obedience and calming exercises and many other things, musical freestyle, etc. just to experiment. but mainly, I am always looking for new ways to have fun with my dogs. so this is working out very well !!!!! Hi Christine, you’ve mirrored a lot of my own feelings about my dogs (I have 3 as well, all large and 2 would make great sled dogs). I just want to play with my dogs and have fun. The training, for me, is a way to keep them safe around people as well as safe for people to be around. So many other training techniques just feel like work to me and I get easily bored; so if that’s how I feel (I’ve always reasoned inside my head) that’s how my dogs feel. People have always laughed at my ideas about wanting to run with my dogs (attached to me of course, so now I just use the term cani-cross) and I have yet to engage in the sport of skijooring but am working toward it. and you are called Christine too ! haha, no THIs is the website that was mentioned in the book, naturaldogtraining.com..
they have video competitions and such, yeah ! just google musical freestyle there are several organizations, all full of boring women who want to buy outfits for themselves and their dogs, for their dancing Routines.. haha do not tell anyone I said that. you can download for free a utility called audacity to slow down or speed up any music to match your dog’s gait. I think a lot of the dog training can feel unnatural and makes me uncomfortable. I am trying to work through my discomfort with certain training techniques such as putting a cue on a behaviour etc…I like shaping behaviours but not putting them on cue. i recently bought a flyball machine, but have not had a chance to unwrap it, too much else going on ! cani cross can be good but only if your legs and feet are in top shape which mine are no longer at 45!!!!!!! I have roller skis also but again, one gets too fast, especially downhill. so do you live on the east coast ? I suppose most of the Kevin Behan people do ? we used to live in colorado before we went to canada. my husband has a plane so we have been all over but not much on the east coast. boston and ithaka (my husband went to cornell) and niagara falls…also florida..i always wanted to see New York (I was born in germany and have only lived on this continent since 2001, before that I lived in Australia) but have to got around to it yet..
it is tough now to yank myself away from home when that means that i will not see my dogs for a few weeks ! ha ! this lee charles kelley who sometimes comments on this website, is the guy who wrote that mystery/detective book I just finished reading….